It was an intense purposeful day at the roundhouse and the rewards were quite gratifying. The throttle body was still our primary concern and immediate efforts were placed on the throttle rebuild and getting it back together. A more coarse lapping compound was ordered and volunteers spent all day seating in the valves. It wasn’t until after lunch that finer compounds were used to start dressing up the valves. A limited number of people could work on the throttle at the same time so the remaining volunteers spent time picking tasks that could be completed. The steam chest water drains were repaired and reinstalled. Compressor air filters were hung into position. Insulation was placed in the air intakes of the ash pan to block off cold air flow once a heater is placed in the firebox for the hydro. The big task was pressure testing of the steam lubricator. All the oil lines were disconnected and each pump in the lubricator was individually tested to 400-600 psi. All lines were reconnected and are ready for running. It was getting late but the throttle valve lapping was on the last cycle of 220 grit compound and the seats were looking very smooth and shiney. Everyone was interested enough in seeing the throttle completed that they all stayed late to see it through to completion. With the lapping complete the valves were seated into the cam lobes, it took a little effort to find the right order but they all locked into place and cycled open and closed several times. 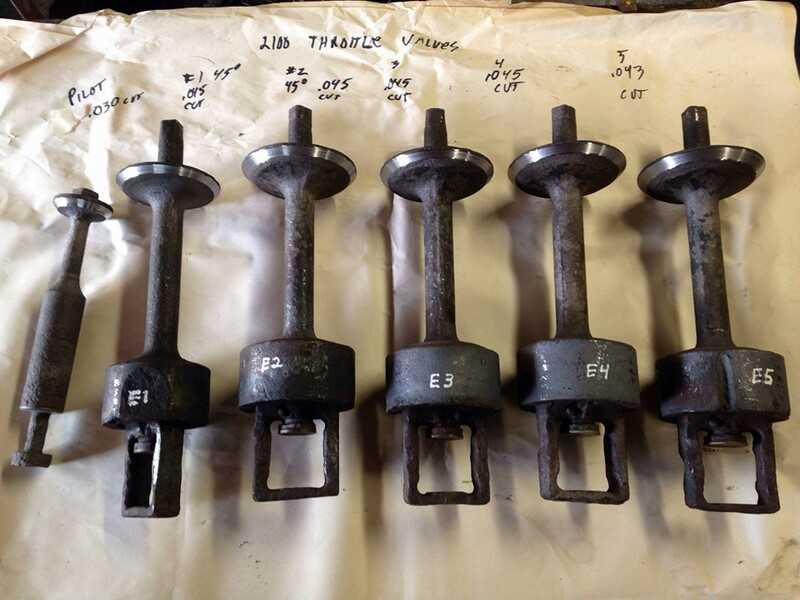 The valve head studs had previously be chased and cleaned so the valve body heads were put into place and new nuts were installed and tightened down. The throttle linkage was connected to the engineers stand and tested. Very smooth. It was after 7 o’clock so it was well past time to start cleaning up. It was a very good day of task completions. Many thanks goes out to today’s volunteers for the extra effort in completing all the tasks that were started. Everyone went above and beyond today.